So where was I? 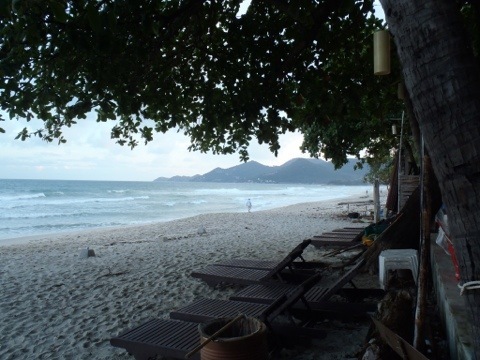 Right, we were at the airport in Bangkok, settling in for the night as we waited for our early flight to Koh Samui. To be honest it wasn’t really that bad of a wait…by the time we’d had some food and found somewhere to sleep, it was already about 3am. Two hours later after very little sleep (who knew airports could be so entertaining at night? ), we were ready to check in and off we went on our 45 minute flight (possibly the shortest flight I’ve ever been on! ), arriving in (rainy) Koh Samui at about 8:30am. From the airport we got a taxi to our pre-booked hotel in Chaweng, on the north-east side of the island. Upon arrival at Z-Hotel we were greeted by a clean room and comfy beds…they were just far too inviting and soon enough we were all fast asleep. When we woke up we were hoping the rain would have stopped, but we had no such luck. The grey clouds were covering the sky and there were no signs of the sun burning through any time soon, so we headed out to get some lunch and wander around. When the rain still didn’t stop (um hello…I’m on an island, where’s the sunshine?!) we figured it was time for a Thai massage…absolute bliss (I may have possibly fallen asleep…it was just so relaxing!). 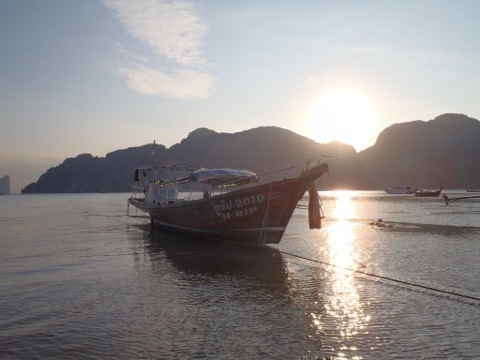 After a few days of much of same (food, drinks, massage, repeat), we were getting a bit sick of the lack of sunshine, so we packed up our bags and headed across the mainland to the west coast and onto Koh Phi Phi. And it was glorious. The sun shone, the sand was white, the sea was blue, and our hotel (The Andaman Beach Resort) was gorgeous. We had our own little bungalow, right next to the swimming pool and just a few steps from the (usually empty) beach. We spent our first afternoon just sunbathing and chilling before going out for dinner and settling down for the night after a long day’s traveling. On our second day on this beautiful island we went on a boat tour that took us to the nearby Monkey Island (yes there were actually wild monkeys, and yes, they were pretty scary! 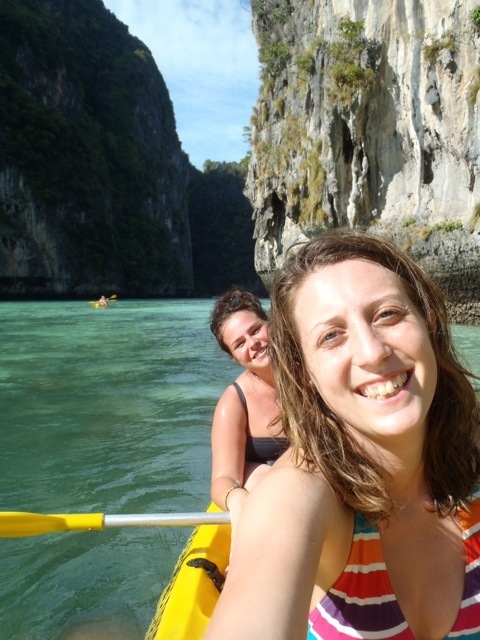 ), Phi Ley Lagoon (where we went snorkeling and kayaking), and Maya Bay (where the movie The Beach was filmed) which was everything I was expecting it would be and more. 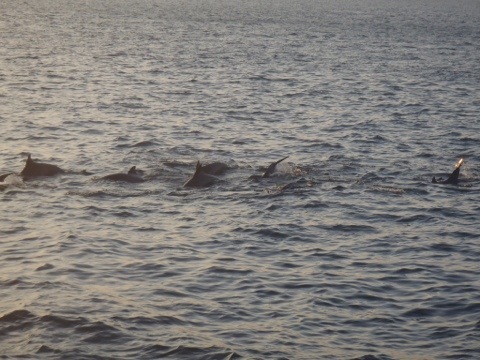 But the best part of the day was when we stopped to watch the sunset and go snorkeling again, when all of a sudden there we about 20 dolphins swimming and jumping about around us. It was breathtaking, to see these stunning creatures so close, and to be able to watch them as the sun went down…I don’t think it gets any better than that. On our last morning on Phi Phi we sunbathed for a bit (gotta top up that tan!) before checking out of our hotel and heading for the pier to get the boat back to the mainland. We arrived in Krabi in the early afternoon and then drove half an hour in a taxi to Ao Nang, a lovely little beach town…we were hoping for some more sunshine, but again the rain started falling. My island dream from Koh Phi Phi seemed like nothing more than a distant memory as we sat in our hotel room and watched the rain. When we woke up the next day it was still raining, so we went for some breakfast and to get some WiFi (what else are you to do on a rainy day? )…this cheered me up massively when I got an email from Gap Daemon (a new travel community) telling me that I’m now one of their Travelling Interns (a position I applied for about a month ago). This is huge news for me, as it means I get the opportunity to work for a great company and do what I love…to travel and write and take photos (and get paid for it!)…excellent! After another good night’s sleep it was time to leave this beautiful but rainy place and thread south to Hat Yai. A five hour bus ride later and we arrived in an even rainier place. Nothing was going together us down though…not even the scummy room we stayed in at the Cathay Guesthouse (mouldy walls, a squat toilet and no hot water). We headed out for food and then it was time for bed…to be honest Hat Yai didn’t really seem to have that much to offer anyway. It was up early the next morning to go to the airport…we were on our way to Kuala Lumpur! 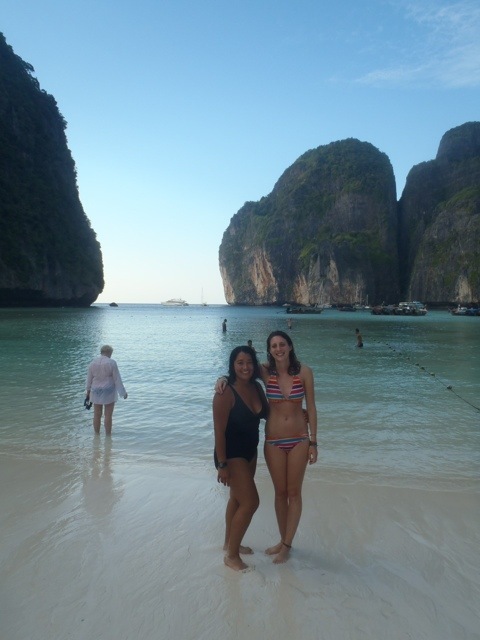 Never bored with Thailand ..
Oh I’m definitely going back one day! So many more places I want to go and things I want to see and do!